Regency ladies’ clothing was renowned for its classic simplicity and enhanced freedom of movement that came with the release from corsets though stays were still worn as well as ‘invisible petticoats’ which were sometimes so tight around the legs that they restricted walking to tiny steps. 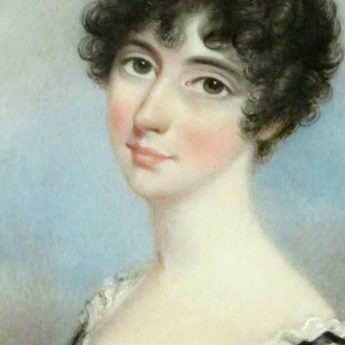 The young lady featured in this portrait is wearing one of these lightweight gowns with a low neck-line, short puffed sleeves and unnaturally high waistline tied with a sash. Her dark hair is fashionably curled and cropped. 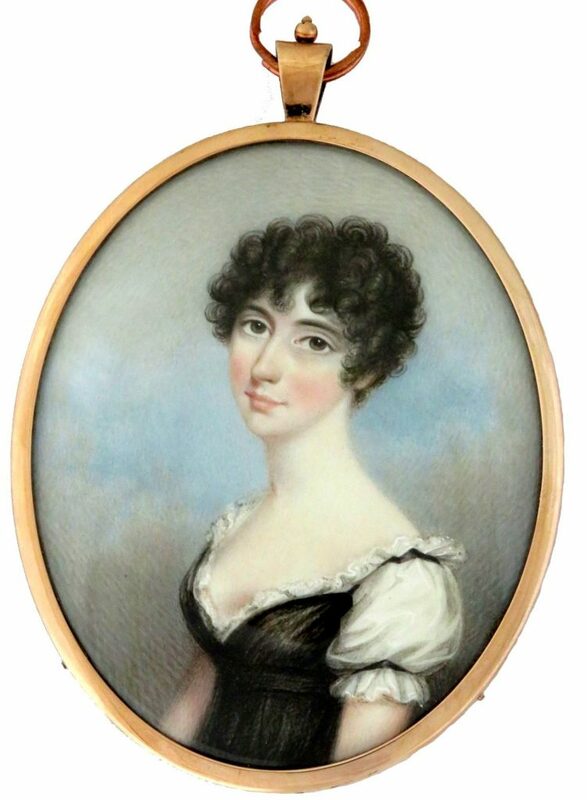 The portrait is set in a gilt-metal frame that is glazed on the reverse to show loosely plaited dark hair. 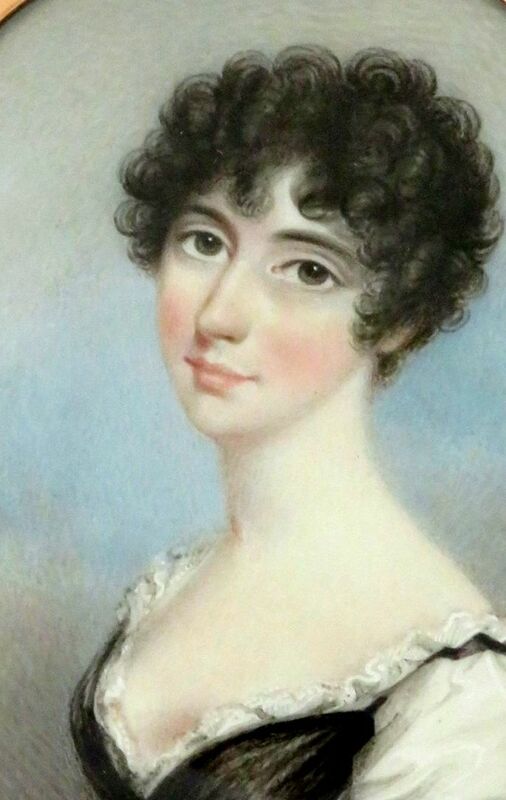 Recent research has confirmed that Nicholas Freese was born around 1761 in Birmingham to a German father and an English mother but it was to London that he moved in order to practise as an artist. He exhibited at the Royal Academy between 1794 and 1814. An interesting snippet published in John Bull in December 1825 records how Freese, who was living at Stamford Street in Blackfriars, was burgled one night losing portrait miniatures and spoons worth over £40. Fortunately the thief was apprehended two miles away and the goods recovered though the sentence was a harsh one.